Black Chelsea can be used on car seats and saddles and will not come off on clothing after it sets up. Restores natural pliability to dried out leather. Great for old and new leather, coating guards against drying sun, wind and moisture. Lubricates without saturating, leaving a warm, smooth satin finish to the leather. Penetrates easily into wet or dry leather to maintain strength, flexibility and durability. 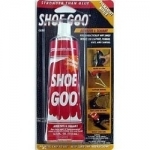 Shoe GOO Adhesive ? Put your favorite footwear back on your feet! 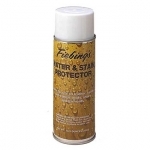 Leather-proofing for all seasons - Prevents water from penetrating leather. This colorless and odorless formula helps prevent mildew, dry rot, salt stains and scuff marks. 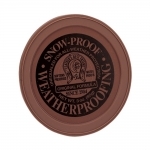 Protection for your tack and show clothing!